A trip to Eldoret requires me to board a North Rift Shuttle on Mfangano Lane in Nairobi. This particular service provider is the Safaricom of public transport to Eldoret. A walk along the lane will present you with men trying to get you to board other PSVs but do not heed to their calls. As I have said before cheap is expensive. You will end up stuck in a matatu that will take forever to fill up with passengers. You can also board the Easy Coach bus across the road or go to JKIA. YOLO! The journey takes five hours, give or take. Down Uhuru Highway into Waiyaki Way and off into the Nakuru-Nairobi Road. Up until I get to Uplands, I always feel at home because I have visited the place dozens of times on my way to cucu’s. Right after that, the beautiful Rift Valley comes into sight on your left. I still think that is the most beautiful thing I see throughout the journey. If you have been along that road, I am sure you have stopped by one of the viewpoints just to take it in. So much green cut out into neat little shapes that make up people homes. The clouds above making shadows on the ground, reminding us that the rain will pour soon. Right around this point is Kimende, the end of the greater Nairobi Metropolitan. A floodlight characteristic of settlements within the region stands tall in the little centre. Magina and Kijabe are the next major centres along the road separated by the evergreen pine tree forest. A little later is Flyover, (that is what locals call the place but essentially it is a flyover road to Njabini) 64km away from Nairobi. You know you are far enough when you see the distance signposts. Behold, Mount Longonot appears. Probably the most interesting volcanic mountain I am yet to see, with the widest crater and jagged slope. I once hiked the mountain back in high school. It takes some hours to go up the steep trail, around the crater and back down. Just writing that makes me want to go back and sweat it out. Moving on, you may see farmers weeding their potatoes while others are selling their veggies on stands. Before you know it, Kinungi is behind you and Naivasha’s smooth road ushers you in, with Lake Naivasha visible at a distance. A popular stopover is Delamere Farm Shop. Normally, a PSV will not stop here, so you will have to hold on until you arrive in Nakuru. Did I mention the flower farms and hundreds of TV aerials atop the houses? Naivasha is also the place where curio shops begin to pop up alongside the numerous acacia trees. Beautiful place. After a while, Lake Elementaita shows itself. Another couple of minutes and the road parts into a dual carriageway, leading you to Nakuru. Finally, you can get your bathroom stopover and some food. Nakuru grows at a commendable rate. 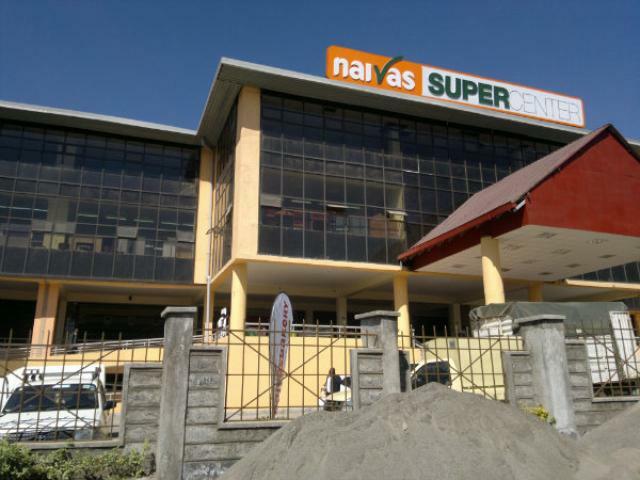 There are already two new malls along the road, Naivas Super Center and Nakumatt Westside Mall. The terrain changes from here on. First major centre is Salgaa. At this point I am always tempted to doze off so my recollection of things may be fuzzy. I cannot forget the infamous spot at Sachangwan where Kenyans lost their lives in a fire back in 2009 while trying to siphon oil from an oil tanker. There is a commemorative plaque in their memory along the road. This half of the journey also reminds me of the post election violence of 2008. Initially, one could spot burnt shells of houses strewn across the land. Today, there are new houses with shiny little iron sheet roofs that were donated to the unfortunate victims. I hope and pray that Kenya will never go through this ever again. Further on, the surroundings are less populated and it gets really monotonous. I also like to call this part of Rift Valley, ‘brick land’. Most houses are built of brick around here. Moi University’s main campus is located off the highway so I normally get off at Cheptiret. You still have about 38km to reach Eldoret. Just in case someone wants to come for my graduation next year, (I know you do) campus is 13km from Cheptiret. There is always a ramshackle matatu waiting at that junction where you end up packed like sacks of potatoes so that the short journey to campus seems to last an eternity. But you get there safe and sound. I guess the end justifies the means in this case. It’s been a pleasure travelling with you! Let’s do it again soon. Meanwhile, let’s keep travelling on this journey we call life. 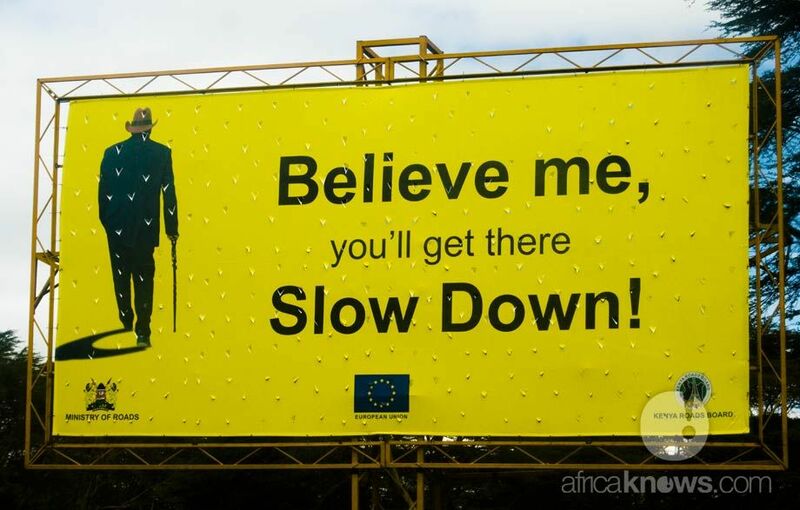 The billboard along Naivasha was replaced by another one. Expected. The Sachangwan spot has now turned into sugarcane-selling joint. The short stretch I refer to as plasticine-like is all smooth now. Gotta love the Chinese! love it! when is your graduation?? 🙂 I am so rushing it, just began my fourth year. Let’s just say towards the end of 2013. Beautiful. I’ve done that trip tens of times, though first time I was in Eldoret is September last year. Next time you leave Eldoret for the fun of it use the Iten-Kabarnet route to Nakuru. The scenery is breathtaking trust me. Thank you Joel. I am thinking that is only an option when travelling in your own car…Bucket list. Aiii, can we attend this graduation virtually? Haha! As always Kiruga, as always. I did my best to entice you. I like this,very interesting indeed.